If you're looking to get serious about cycling, you may just assume that bike shorts are nothing more than part of a cyclist's unofficial "uniform." Obtaining the best pair of specialized shorts possible is practically as crucial to a good bike riding experience as the bicycle itself. This is something you can deduce the first time you attempt a long-distance trek in a pair of regular shorts. We recommend you don't learn the hard way and simply purchase bike shorts right out of the gate. There is much more to buying shorts than merely picking up a pair of snug, bright-hued shorts. Finding the bike shorts is a tough sea to wade through, whether you want a short trek or a long ride. Fortunately, we’re here to help you navigate through such treachery. ​By Max Shumpert: This article has been updated to reflect the most accurate information regarding cycling shorts available for those who are interested in bike clothing. The best 5 available have changed, and information has been added to assist individuals in finding the best cycling shorts currently available on the market. The FAQ has also been updated. Finding the bike shorts is a tough sea to wade through, whether you want a short trek or a long ride. Fortunately, we’re here to help you navigate through such treachery. Our recommendations feature some of the best bike shorts you’ll find on the market for both men and women. Ladies’ bike shorts tend to be more diverse than men's shorts. The reason for this is because there is a wider fluctuation in the feminine shape compared to the masculine shape. With that being said, the functionality of a proper pair of women’s bike shorts is similar. The following are our recommendations for best-rated women’s bike shorts. The Pearl Izumi Women’s W Sugar Shorts can be a bit pricey compared to other shorts. Purchasing a pair will set you back anywhere between $32 and $60, depending on your size. However, it’s well worth the extra scratch required. Its key feature is its Select Transfer Dry fabric. This special fabric is specifically constructed to promote efficient moisture transfer and compression. Equipped with a UPF (Ultraviolet Protection Factor) of 50+, the shorts are also effective in guarding against the sun. The combination of the bib straps and the silicone leg grippers will keep the shorts solidly in place from top to bottom. The straps themselves are unobtrusive enough not to be seen when worn with a jersey. The shorts also contain reflective elements that can be easily seen when the light visibility is low. The actual design of the shorts helps its performance, as well. The anatomic six-panel structure safeguards from chaffing while simultaneously providing support, making the shorts even more comfortable. The shorts’ wide waistband also features an elastic-free front panel, a feature that will come in handy when you need to take in deep breaths. Their silicone leg grippers will also prevent the shorts from accidentally slipping down. Reflective elements enhance the shorts’ visibility. Special attention is paid to the shorts’ chamois. It’s pre-shaped to provide maximum comfort, yet it contains stretch technology that allows the shorts to adjust to the contours of the body. It also contains top-notch moisture-wicking properties. The Beroy Womens Bike Shorts are a more cost-effective model, as they typically check in at around $25. However, these shorts align more with the “incredible value” axiom as opposed to the classic “you get what you pay for” mentality. These shorts are about as comfortable as women’s bike shorts get. They possess an extremely soft, microfiber layer that’s malleable enough to fit a body’s contours perfectly. It also protects from chafing and abrasions. It also featured Bacteriostatic treatment which adds extra protection against infections and sores. The fabric of the shorts consists of a polyester and spandex mix. It contains terrific absorption qualities, which goes a long way into eliminating issues relating to moisture. The fabrics also feature excellent elasticity and can set close to the skin. The chamois is made from multi-density foam. It has enough give to allow you to adjust its position and its thickness, yet it’s also firm enough to lock into the position you need it to be in the most. The shorts’ 3D gel padding also helps adhere to the shape of your muscles, allowing it to provide extra support that could ultimately reduce the production of lactic acid. This can provide cyclists with an extra measure of energy on long-distance trips or routes with steeper inclines. There are a ton of bike shorts options for men – so much so, they may threaten to run together if you’re not careful. The reason is the differences tend to be subtler because a male’s shape is more uniform. While they all strive for the same functional endgame, not all are created equal. The following is a look at our picks for the best men’s biking shorts on the market. This set of shorts may push the boundaries of your wallet. They range from $75 to $150 depending on a few metrics like size. However, if you can swing the cost, you’ll quickly discover they’re worth every penny. The first element that sets the Louis Garneau CB Carbon 2 Cycling Shorts apart is its fabric. Spun from a combination of CB Carbon and Lycra fiber, the shorts provide terrific compression while also displaying antistatic properties; two elements that improve blood circulation. The shorts also feature Endurexx inserts that provide additional compression and support. This, too, helps with blood circulation. This is a vital element because the increased blood flow ultimately leads to a more efficient workout. The multi-density chamois pad features perforated foam padding, allowing for comfort and extra breathability. Pre-molded wings and a center channel also contribute to the shorts’ overall ability to provide comfort. The hygienic nature of the shorts is another key selling feature. They feature a bacteriostatic top sheet; an element that substantially cuts down on the threat of sores and infections as you continue to ride. The shorts’ Highlander Mesh also helps wick sweat away while also improving airflow, which keeps things cool. You’ll also look cool wearing them – the shorts come with sharply designed reflective accents to keep you safe. Finally, these shorts are ergonomically designed. This is a vital bit of technology, as it will allow you to remain comfortable during your ride regardless of how aggressive your riding position gets. The shorts also are designed to relieve pressure from the back of your legs, further adding comfort. The Pearl Izumi Attack Short is not quite as expensive as a set of Louis Garneaus. Their price ranges from around $42 to $80. However, just because they’re cheaper doesn’t mean they’re cheap – quite the opposite, in fact. The shorts themselves are made from a hybrid of nylon and spandex. Its bread and butter is moisture transfer, which is something that may particularly appeal to those looking for a more rigorous cycling experience. The shorts are not just designed to protect you from your own sweat, either. They come equipped with a UPF (Ultraviolet Protection Factor) of 50+, meaning that they will safeguard you from the wrath of excessive sunshine beating down on you as you ride. The eight-panel anatomically designed shorts also feature a race-quality chamois designed to be durable and form-fitting. While some riders note it can be a little too thick, the protective qualities of the chamois will be perfectly fine for most cyclists. The shorts are also ergonomically designed, which also helps enhance comfort and fit. The silicone leg grippers will also ensure the shorts will stay in place regardless of how long the cycling session. Reflective elements allow the shorts to be seen in low-light visibility. One thing to bear in mind if you look for a pair of these shorts. Some people say that it’s tricky to find the proper size based on Pearl Izumi’s fit charts. As such, it may take a little bit of persistence on your part to find the right pair of shorts. However, it’s worth undergoing such persistence. At first glance, bib shorts may not be as aesthetically pleasing as traditional bike shorts. But aficionados don’t care about looks – they like them because of the high level of performance they offer. Besides, when properly worn, nobody can tell what they look like anyway. But which ones to purchase? We offer the following suggestions for the best bib shorts on the market. The Pearl Izumi Men’s Quest Bib Short will cost you anywhere between $50 and $95. The price fluctuation depends on various adjustable metrics, such as size. 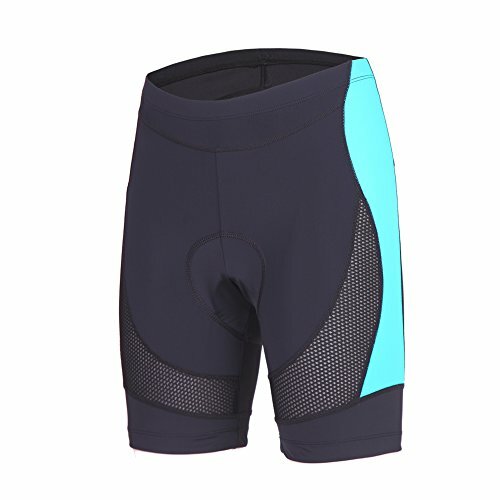 Unlike other bike shorts that have one or two different fabric technologies in play, this pair of bib bike shorts has four technologies working: transfer, barrier, thermal, and softshell. Together, these fibers conspire to build a system that ideally regulates temperature regardless of weather conditions. The bib garment is also designed to provide exquisite flexibility for a body in motion. This malleability makes it possible to work well regardless of a cyclist’s riding style. The fabric featured in the bib’s anatomic six-panel design is also technologically designed to transfer moisture away from the rider during the ride. These wicking properties enhance the level of comfort during the ride. Like the Pearl Izumi Attack Short, some find the Pearl Izumi Men’s Quest Bib Short’s tour-ready chamois a little too thick. However, most find it to be of a good thickness and ready to provide a comfortable riding experience. Before determining what bike shorts to buy, it’s important you figure out what it is you’re purchasing. While asking what bike shorts are may sound like a no-brainer, they are substantially more than just a pair of shorts you throw on before you start cycling. Perhaps the best way to look at bike shorts is to not necessarily view them as mere clothing. Rather, they are vital pieces of wearable technology, specifically designed to improve your comfort. By extension, bike shorts are built to improve performance. While mountain biking or biking for long distance will bring about the welcome “good burn” of a workout, the unexpected pain that comes with wearing the wrong shorts may cut your ride frustratingly short. The level of comfort specialized bike shorts provide goes beyond protecting you from the annoyance of pinching and bunching. Some shorts provide integrated padding to add extra cushion for your muscles. Others are made from materials designed to wick away moisture and sweat. 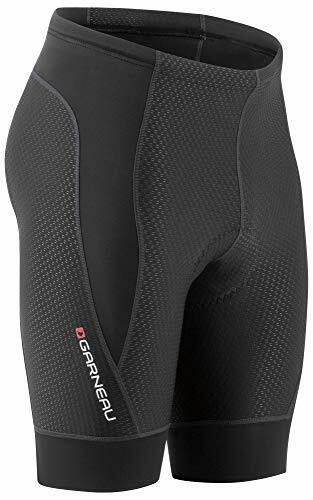 The tight, sealed nature of bike shorts guards against chaffing, which will help keep you comfortable after your ride is over. It will also cut down on wind resistance, which will help improve your pedal performance and efficiency. Because bike shorts are form fitting, they aren’t a “one size fits all” type of clothing. Factors ranging from style of riding to gender and body shape play crucial roles in determining what shorts work best. When it comes time to pick up bike shorts, it’s important to consider the myriad types of bike shorts on the market. While they all have the same endgame of trying to provide comfort, they have different design elements that provide specified levels of comfort to the rider. Road Bike Shorts: These classic shorts are made of six to eight panels stitched together to provide maximum comfort. They’ll also contain a padded chamois-like pad designed to minimize friction, cushion bumps, wick moisture, and prevent bacteria. Their longer cut legs also prevent chaffing. oad Bike Shorts: These classic shorts are made of six to eight panels stitched together to provide maximum comfort. They’ll also contain a padded chamois-like pad designed to minimize friction, cushion bumps, wick moisture, and prevent bacteria. Their longer cut legs also prevent chaffing. Mountain Bike Shorts: Also known as "baggies," these shorts have a loose outer short that covers the form-fitting liner. These shorts are held together with a button or a hook and can contain pockets. They function like road bike shorts but don't have the look of road bike shorts. Bib Shorts: As the name suggests, these shorts come with suspenders-type straps that loop around the shoulders, which keep them in place. Cyclists like these shorts because they lack an elastic waistband, which can hinder breathing. A cycling jersey easily covers the straps. Skorts: These cycling shorts are specifically designed for women. They function as road bike shorts, but the spandex liner is covered by a skirt. This design makes them functional beyond the realm of bike riding. Why Should You Choose Your Bike Shorts Carefully? Because bike shorts are not a “one size fits all” clothing item, it is extremely important that you go about picking a pair of shorts in a deliberate fashion. The careful nature of bike shorts purchasing is not necessarily confined to making sure it fits around your waist, either. For instance, the shorts need to be cut to fit your shape when you mount a bike. You may think they fit well standing up or even sitting down, but that’s not where their functionality comes in handy. If they don’t fit when you ride, you’ll be in a world of hurt. You should also be keenly aware that not all bike shorts companies adhere to the same sizing metrics. What may be a medium for one manufacturer may be a small-medium to another manufacturer. This fluctuation is present in both traditional and bib shorts. Because of this, it’s important that you familiarize yourself with the manufacturer’s fit chart. This will go a long way into eliminating the guesswork as far as what size you should be targeting from a particular company, should your decision boil down to two different brands. There are a lot of different elements that come together to form a proper pair of shorts. These elements have varying impacts on your overall bike-riding experience. Because these parts equal a whole, it’s important to scrutinize them individually before you make a purchase. Purpose: While the onus of this metric is ultimately on you as opposed to the shorts, it’s important to figure out, because it will crystalize the kind of shorts you need. Are you planning on mountain biking? Are you biking for endurance? Answering these questions will eliminate a lot of guesswork. Chamois: The chamois is the pad in the middle of the shorts designed to provide the groin area padding and protection as it wicks away moisture. Yet no two chamois deliver the same experience. Thickness, materials used, and contours combine to create an experience that changes from pair to pair, especially when riding style is factored into the equation. Materials: Most modern-day bike shorts are made from spandex or lycra – a big step up from the wool shorts from back in the day. However, manufacturers are blending the stretchy synthetic fabric with more natural fibers such as cotton. This does create variances in feel and performance that may make or break your overall experience. Size and Fit: As mentioned earlier, one size does not fit all, particularly when manufacturers can't seem to agree on what the sizes are. While determining proper size is important, determining proper fit is equally crucial. These shorts are designed to be snug. You shouldn't settle for less. Comfort: There isn’t a “break-in” period with bike shorts. Therefore, don’t settle for a pair of shorts that you think you could grow accustomed to. If you aren’t comfortable in a pair of bike shorts, you won’t ever be. Look elsewhere. Because bike shorts size varies from brand to brand, it’s important that you do sufficient homework before you purchase a pair. As mentioned earlier, manufacturers have fit charts that you can use to at the very least give you a bead on what range you should be focused. It’s wise to have this information handy when you shop. With that being said, always bear in mind that size takes a back seat to comfort. Because the shorts are made from stretchy material, you may find yourself feeling more comfortable in a size of shorts that are technically one size too large or too small. To that end, the most important metric to use when determining the correct bike shorts size is the chamois. Ideally, you want your bike shorts to be snug in the groin area, where the chamois pad is held close to your skin. The size does factor into the positioning and feel of the chamois. If you’re wearing shorts that are too big, the pad will move around, which will cause rubbing, chaffing, and abrasion – the very elements it’s supposed to guard against. If it’s too small, the tightness will cause overwhelming discomfort. Determining the right chamois pad might also correlate to a rider’s experience. A beginning cyclist may prefer a thicker pad to help them get used to the concept. Veteran cyclists may prefer something thinner. Long-bikers, on the other hand, may prefer to use breathable yet dense chamois. There is a little leeway in most chamois pads that can make it easier to find a proper pair of shorts. Men’s chamoises have a cutout in its center to help relieve pressure that can build up from the pudendal nerve. This is vital – too much pressure on the nerve can cause discomfort, and in some cases, numb limbs and fatigue. Women’s chamois pads, on the other hand, have padding that runs through the center of the pad. This is arguably the main difference between cycling shorts for men as opposed to women. Wearing bike shorts is not just a simple matter of slipping a pair on and going on your merry way. There are a few dos and don’ts you must be aware of if you want to have a proper riding experience. The biggest don’t to be cognizant of is don’t wear underwear under cycling shorts. Wearing underwear with cycling shorts effectively will cancel out all the major benefits cycling shorts offers, from moisture control to chaffing prevention. It may feel awkward at first, but it’s something you’ll get used to doing. Because there is no barrier between your bike shorts’ chamois and your flesh, it’s important to use chamois cream. This viscous, anti-bacterial substance is specifically designed to eliminate skin-to-shorts friction, which further reduces the threat of chaffing. Chamois cream comes in several forms, such as creams, balms, and powder. While you can either apply the cream to the chamois or your skin at its contact and potential chaffing points, you could apply the substance to both to ensure greater protection. When you’re ready to put the shorts on, you need to make sure the shorts are hitched to fit snugly around your waist and thighs. Don’t worry about the shorts slipping – the snugness around the thighs will prevent the shorts from slipping, as will bib straps if you’re wearing bib shorts. Also, you’ll want to carefully position the chamois against the part of your body that will contact the bike seat. This chamois should remain fixed in this position throughout the ride – if it slides around, it means you didn’t get the right size. If you decide on picking up bib shorts, be sure to wear your cycling shirt or jersey over the straps. Ideally, you want to look like you’re not wearing a bib to the outside world. Because bike shorts are a special article of clothing, it shouldn’t be surprising to find out that they need special care to keep them in tip-top shape. There are several steps you must follow if you plan to make your shorts last a long time. Bike shorts should not be washed with your regular laundry. Because they are made from spandex or lycra, the shorts are substantially more delicate than a pair of blue jeans or dress shirt. It’s best to wash them separately in a gentle cycle. Specifically, set your washer to “delicates” and run it in cold water. Even though you want to run the shorts in a gentle cycle, you should refrain from using fabric softener. Doing so will coat the bike shorts in a stain-blocking film. While this is great for towels, it’s counter-productive for shorts because the film disrupts the wicking capacity of the synthetic fibers. You may be tempted to just throw in your shorts with your jersey or other clothes that need a gentle cycle wash. Avoid this temptation at all costs. Because the shorts have heightened absorption properties, you want to make sure your washer’s cleaning properties are as concentrated on the shorts as possible. You shouldn’t just throw your shorts into the washer, either. It’s wise to always put the shorts into a mesh laundry bag. Washing machines can be rough on bike shorts, particularly if you have a machine with a spindle in the middle. Putting them in a mesh bag provides an extra layer of protection. You should never put your bike shorts in a dryer. The concentrated heat of the machine will not be kind on the fabric. Instead, hang them to dry on a clothes rack. Fortunately, because bike shorts are made from quick-drying materials, they’ll be dry in about a day or so. Ideally, you'll want to plan your rides around this dry cycle. If the timing gets disrupted, don't fret – bike shorts can dry quickly on your body if you throw them on before they're not fully dry. Bike shorts maintenance is not merely limited to keeping them clean. Sometimes, shorts could get damaged if you have an unfortunate spill while on your bike. Considering that prices for bike shorts can be high, you may prefer to look at repairing the shorts instead. Your first step is to give the manufacturer a call. Many bike shorts companies do offer repair service for their shorts, and some offer this service free of charge – up to and including replacement pairs, depending on how recently they were purchased. If you have no luck with the manufacturer, you can locate a certified repair shop. While you can try to have a tailor repair your shorts, it’s best to take your shorts to someone whose expertise is in working with the shorts’ special, delicate materials. If you aren’t looking for a perfect fix, you can always try your hand at fixing the repair yourself. For smaller tears, you could sew it shut or use double-sided heat-fusion tape. If you have a larger hole, you can use an iron-on patch. But beware: if you’re not skilled in sewing, such a patch could cause chafing. There is much more to a pair of bike shorts than merely selecting the right brand, slipping them on, and hitting the neighborhood or mountain trail. In some ways, selecting the best padded or riding bike shorts is only a fraction of the overall equation. Indeed, how to wash, wear, and care for bike shorts are critical parts of the experience. After all, these aren’t necessarily cheap pieces of clothing – with the money that you’ll pay for the best pair of bike shorts possible, it’s smart to treat the pair as an investment. When you do, you'll find that a good quality pair of bike shorts will last you for years to come. This, of course, is a good thing. After all, you're not going to give up on riding your bike. Shouldn't your shorts be just as committed to your regimen?